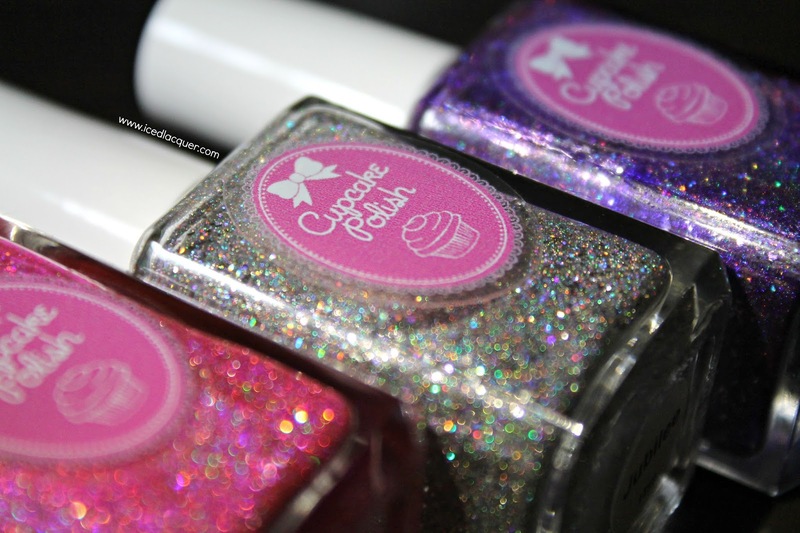 Today I have swatches of three of the five shades from the Cupcake Polish Las Vegas Showgirls collection! Sara, owner of Cupcake Polish, was one of the amazing hosts at the Cocktails & Colors event in Las Vegas. She was nice enough to include these polishes in my gift bag along with some other goodies, like this adorable plastic tumbler, which I've been using nonstop since the event! "Jubilee" - A silver linear holographic base filled with small silver holographic glitter and silver flakes. Perfectly opaque in two coats. 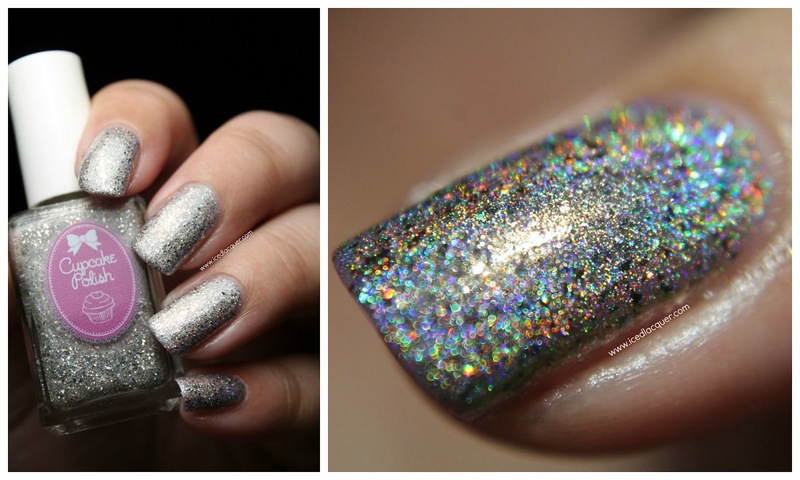 This one has an insanely gorgeous holo effect. "Folies Bergere" - A neon pink linear holographic base filled with holographic glitter and silver flakes. This one is almost opaque in just one coat, but I used two to cover up any visible nail line. 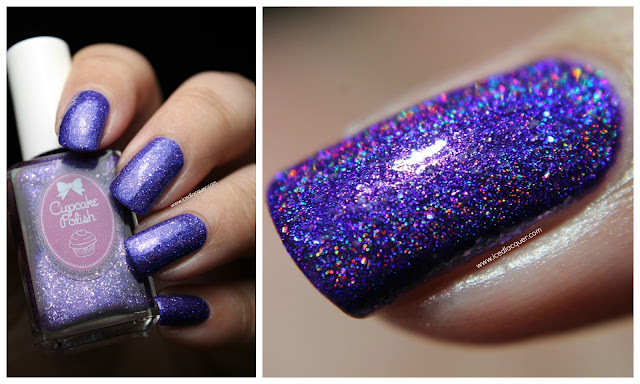 "Copa Girls" - A blue-toned purple linear holographic base filled with holographic glitter and silver flakes. For some reason this leans much more blue on me than it appears in the bottle! I used two easy coats for full coverage. 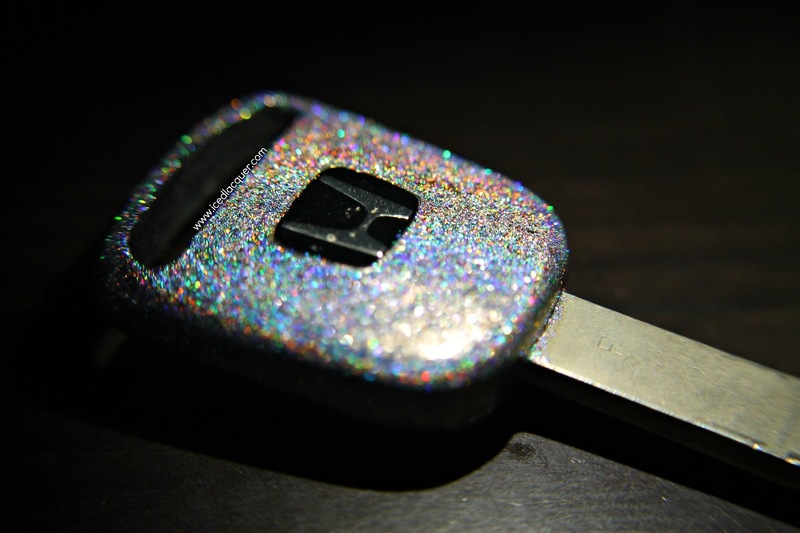 I actually love "Jubilee" so much that I actually decided to paint my car key with it. (Holo ALL the things, right?) My husband and I have the same car so now I won't get our keys mixed up anymore! XD Now I'm wondering why I didn't do this to my keys ages ago. My opinion: This is my first time trying out Cupcake Polish and I am already genuinely impressed. 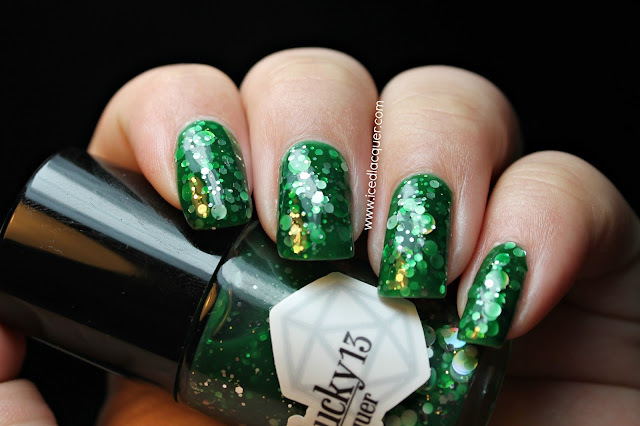 I have had several Cupcake Polish shades on my wishlist for ages and now I'm not sure why I ever hesitated! I actually placed my first order while I was typing up this post. 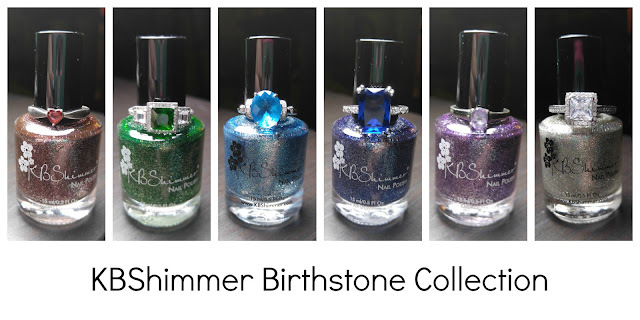 All three polishes were extremely easy to work with and very nicely pigmented. I have a couple of favorite silver linear holos that require three to four coats for opacity, so "Jubilee" being a two-coater really impressed me. 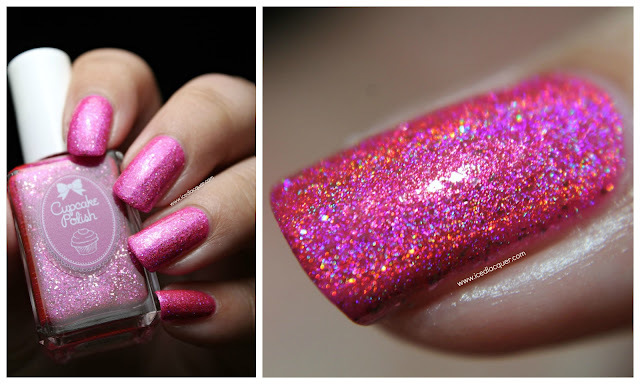 I've also never used a polish quite like "Folies Bergere" because on the one hand it's a linear holo, but on the other hand it is a legit neon pink! 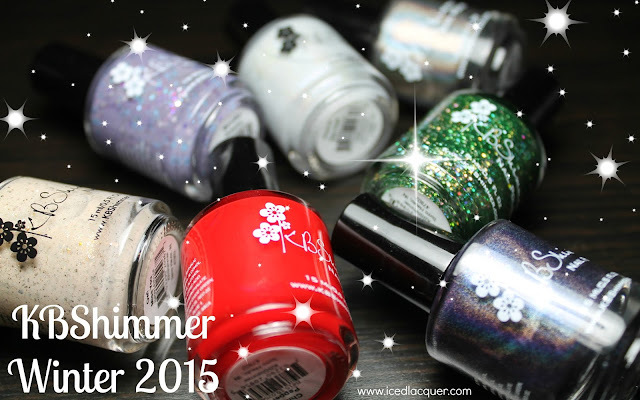 Right now I feel like the indie nail polish market is pretty saturated with every shade of linear holographic polish under the sun, so it's refreshing to see a brand like Cupcake Polish doing something different by adding the small holographic glitter and silver flakes. All three of these are freaking amazing! So much sparkle. I'm in love! 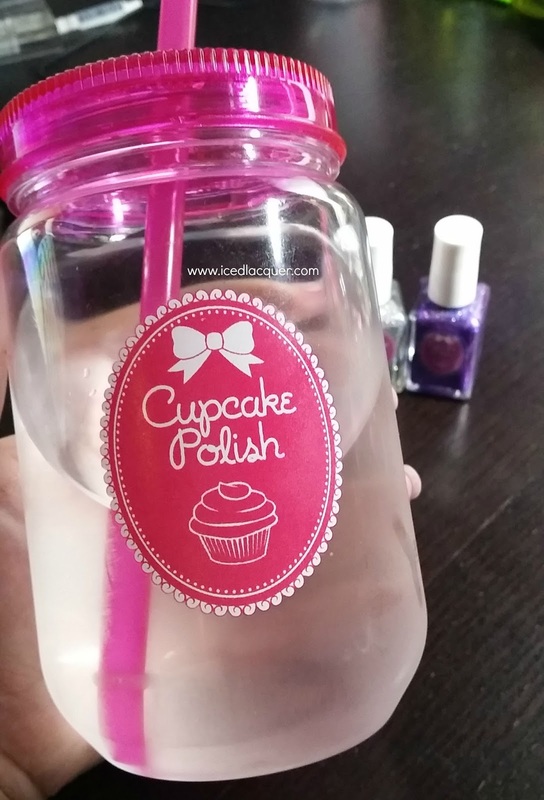 I love cupcake polish and these did not disappoint.